• Raven #2060 - This classic feather inspired by the Raven features shimmery colors on a pearly black. • Red-tailed Hawk #2059 - This woodsy feather is a great design for every-day wear. • Dove #2067 - This pearly white Dove feather is perfect for admirers of simplicity. 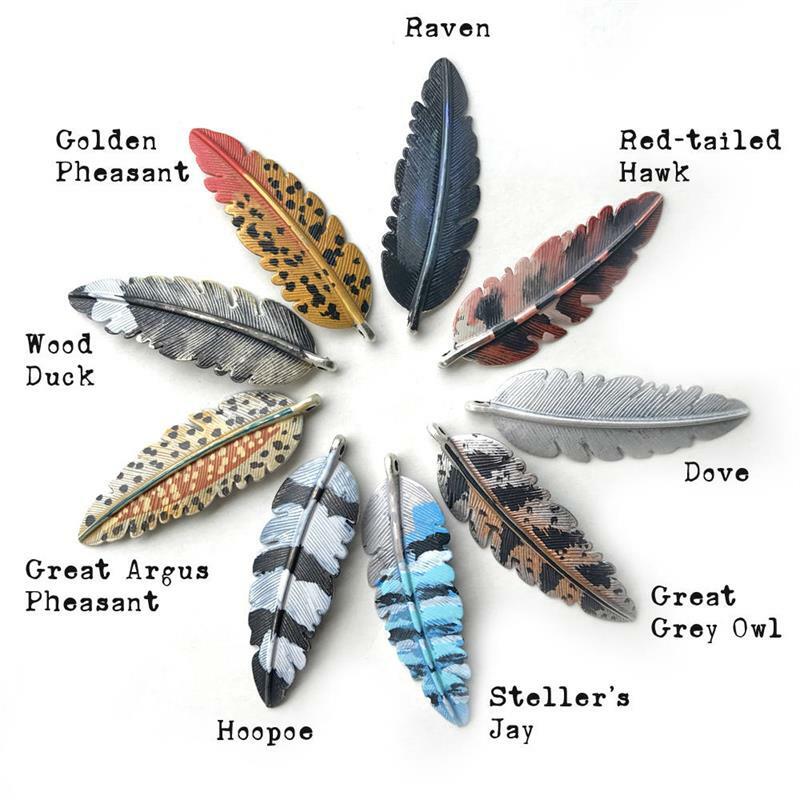 • Great Grey Owl #66448 - Another woodland inspired feather especially suited for owl lovers! • Steller's Jay #2068 - This striking blue striped feather is our most popular design. • Hoopoe #2066 - This exotic feather was inspired by the Hoopoe bird, a resident of Africa, India and China. • Great Argus Pheasant #2057 - This spotted beauty has gorgeous earthy colors. • Wood Duck #2058 - This soft, creamy feather has touches of sooty black for a feather that's perfect for every-day designs. • Golden Pheasant #2064 - This golden spotted feather has a red tip for a dash of bold color! 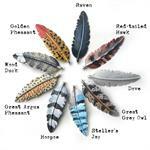 Our other artisan feather pendants can be found at the links below!